Richmond Indiana Exterminator is not only concerned about your homes and other properties, they are also concerned about the health of your families and neighbors by helping homeowners grow gardens that are pest-free. When they say pest-free, they literally mean to safeguard pollinator insects and to destroy the bad ones that harm your crops or flowers! Just this week, NPMA and all goverment agencies, private companies and many other organizations both in the private and public sectors have launched a campaign to safeguard pollinator insects and to promote their growth in order to help generate healthy crops next season. Read the press release below from Pestworld.org. 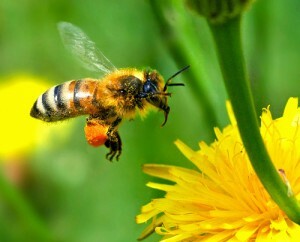 FAIRFAX, Va. – The National Pest Management Association (NPMA) joins government agencies, private companies, non-governmental organizations and foundations in calling attention to the importance of pollinator health during National Pollinator Week (June 16-22) and beyond. Pollinators include bees, such as honey bees and bumble bees, birds, butterflies, bats and beetles, with bees playing one of the most integral roles in the nation’s food supply chain. “While we have yet to determine the causes of bee colony decline, we do know that there are a number of factors involved. As the research continues, it is important that the public gain an understanding of the small steps they can take to help pollinators in their communities.” added Fell. Create a pollinator-friendly garden with flowering plants, herbs and vegetables, including wildflowers, lavender, sunflowers, golden rod, honey suckle, chives, oregano and thyme to help them thrive. Because stinging insects can pose health threats, to keep family members and pets safe, these gardens should be planted away from the home or outdoor seating areas.